It's magical! It's heavenly! It's... sushi! Not visionary or fictitious, these sushi rolls will give you an experience that is extraterrestrial. And the only saucers you'll need are plates of sushi and soy sauce. Hey, you can count on us being the first ones piling into the car for a trip to one of the various all-you-can eat sushi buffets in the area. It's one of our favorite impromptu dining activities! But we also like to indulge and treat ourselves to a very different sushi experience every once in a while. One that focuses on super fresh ingredients and is out to surprise our taste buds with new flavor combinations and cooking techniques. The type of dining experience that reminds us that sushi is all about quality over quantity. We've got 5 on our mind. Check these places out for something truly unique. After listening to Jazz 24/7, head to Thelonius Monkfish — a tribute to American jazz pianist and composer's namesake — for more jazz, and some upbeat sushi. And a roll that will make you go ooh-la-la? The Gaga's Monster roll. It's made with octopus, cucumber, tiger shrimp, imitation crab meat, tobiko and raw raw-ah-ah-ah tuna. You can enjoy live jazz on stage at Thelonius Monkfish on Thursday, Friday, Saturday evenings, and Sunday at brunch. Modern decor, dim lights and candles - if the ambience at Douzo is worth the trip alone; think of the sushi as a real treat. The Japanese restaurant, located next to Back Bay Station, has one of the most impressive selection of rolls and cocktails we've seen. The mouthwatering standout is the Scallop Kiwi. We know that you must be thinking, "sushi and kiwi?" Trust us. It works. Meticulously crafted, the kiwi is not overpowering and beautifully harmonizes with the scallop, tobiko and dab of chili sauce. 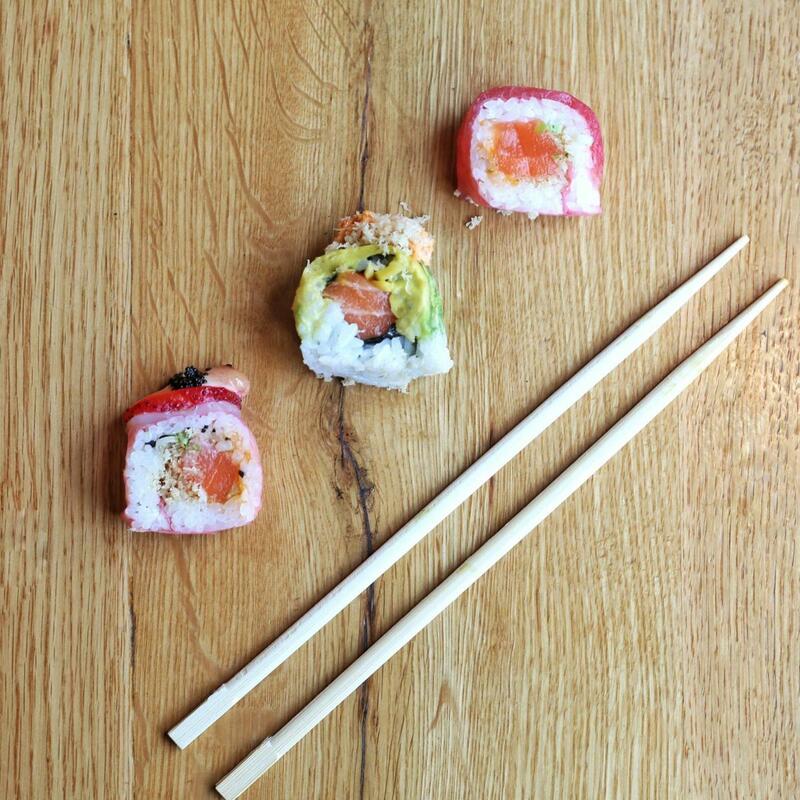 And turn a crabby day around with the Red Spider Roll. Made with soft shell crab, tuna, tobiko and a touch of unagi sauce, you are bound to be shellfish and not want to share. Our drink favorites include the refreshing pomegranate shōchū (Japanese vodka) cocktail, and the Killing Thyme cocktail made with elderflower, gin, grapefruit and thyme. Both pair well with just about any roll on the menu (and yes, we tested that out). With a Koi pond, stone fixtures and bamboo décor, FuGaKyu is the place for your traditional Japanese dining experience. Fit for all different occations, there are booths with sliding doors for an intimate dinner as well as traditional tatami rooms. The menu is 17 pages, which is a bit overwhelming. So do yourself a favor and order the Fugakyu Boat. 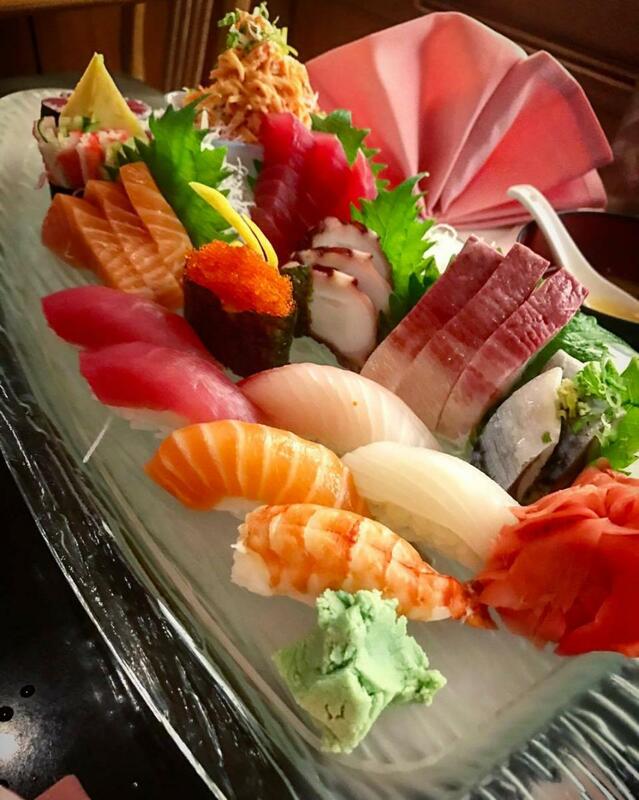 It's a Chef's choice assortment of sushi, sashimi & maki. It's perfect to share, and has a little bit of everything from striped bass, salmon, squid, tuna, yellowtail, mackerel and tamago, and is accompanied with a spicy mayo crabstick salad and miso soup. With such good quality sashimi, you will feel like Santiago from The Old Man and the Sea wrestling with the chewiness of fresh fish. If you are looking to try some unique rolls, we recommend the Black Tiger maki made with Japanese jumbo black tiger shrimp, torched salmon, tuna, asparagus and avocado. Or the Louisiana maki which has deep fried crawfish, avocado, amazing cajun mayo. These two rolls will have you plopping the entire sushi without a second thought. 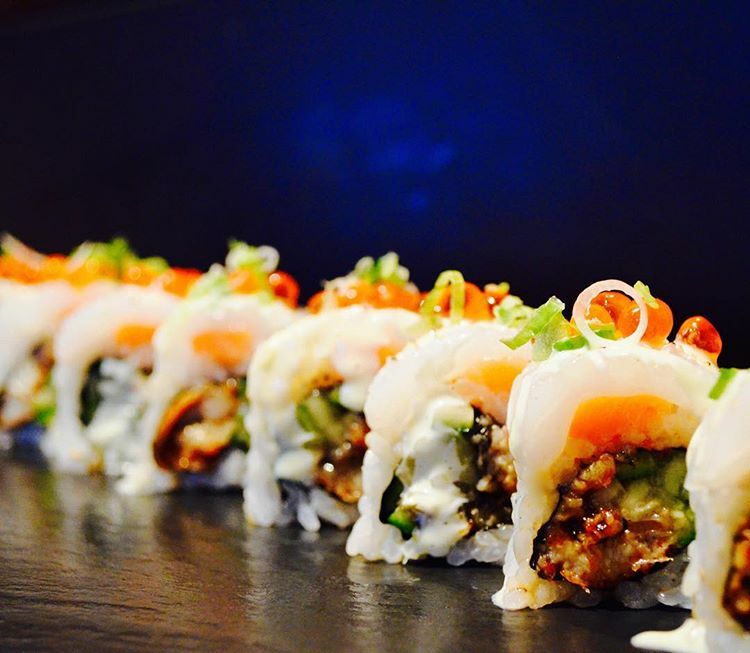 With its sleek and chic interior, Oishii is rollin' up some sushi action in the South End. This is a high end sushi bar, so plan ahead and make that reservation for that fancy dinner or special occasion! 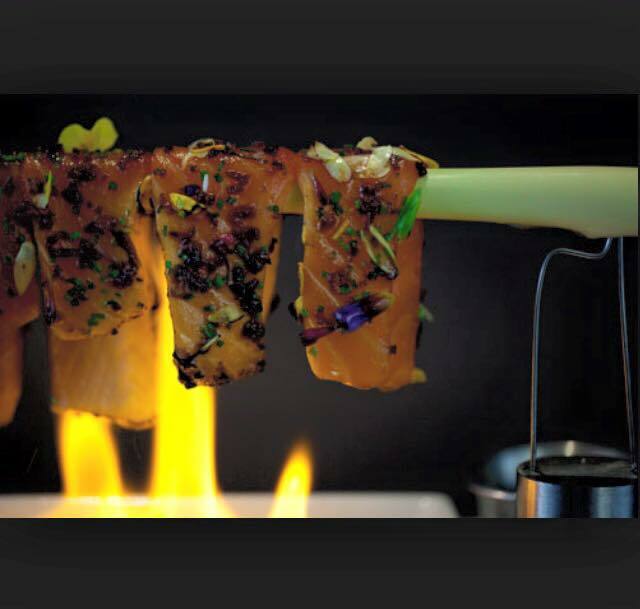 For starters, we recommend the Salmon On Fire which is literally on fire. Soft salmon is seasoned with fried shallots, citrus ponzu and a raspberry gastrique that's served burning with a dramatic flare... and unforgettable flavor. And you can't go wrong with the Toro Truffle. Seared toro (fatty bluefin tuna), shrimp tempura, spicy mayo, cucumber, truffle and caviar — it's rich, it's fresh, and it's delicious! Don't forget dessert. Try the red bean cream brûlée served with ice cream and fresh fruit, all of which were quickly eaten. We couldn't resist! Explore Oishii and learn more about sushi making with chef Ting Yen in this episode of Neighborhood Kitchens. O Ya is a high-end sushi restaurant, hiding behind an unsuspecting door, that's offering crazy creations that will make you yell "Oh yeah O Ya!" We're in love with their more than creative nigiri options. 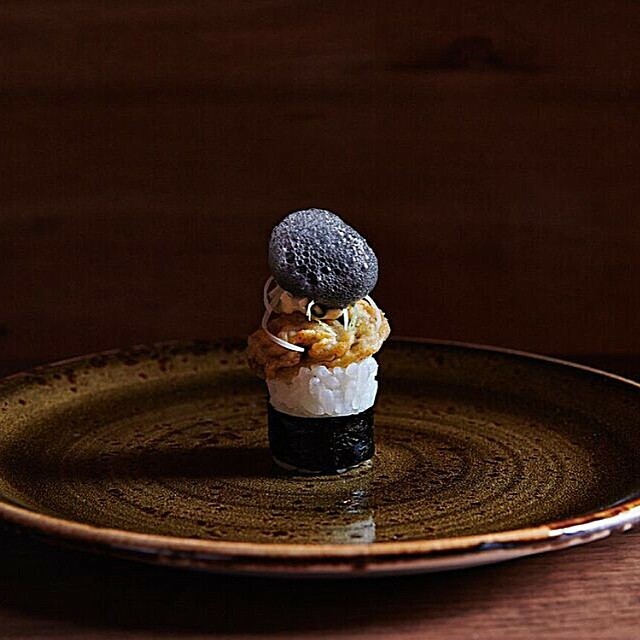 Our favorite is the fried kumamoto oyster made with a yuzu kosho aïoli and topped with squid ink bubbles. It's stunning to look at, and with textures and flavors of crunchy, bubbly, sweet and salty — it's a perfect bite all in one. A far more complex dish involving two of the most sinfully delicious foods — sushi and chocolate —come together to create foie gras nigiri of balsamic chocolate kabayaki eel, Claudio Corallo raisin cocoa pulp and sip of aged sake. It's a lot going on but it's a perfect combination of sweet and savory. If you are looking to really splurge, book an Omakase course dinner of delightful surprises by chef's choice. It'll truly be the unique sushi experience you're out to get.